Blue Sky Disney: Disney To Be Present At Macworld? Sources are buzzing that Bob Iger or another Disney representative could be making an appearance at this year's Macworld Conference & Expo running from January 14 - 18. If so, it will likely be during Steve Jobs' keynote. It could involve just the announcement of Disney joining Apple's new rental service, the company adopting Blu-Ray as it's next gen format or something else that is entirely more. It's long been known that the Mouse has been having a closer and closer relationship with the Fruit company. 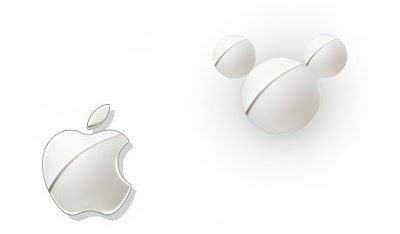 There has been speculation that in the next year or so Apple could possibly come out with a version of Disney Mobile or Disney "branded" iPhone/iPod but no tangible proof is available yet. Mr. Reality-Distortion-Field has been making his presence known in the Boardroom.